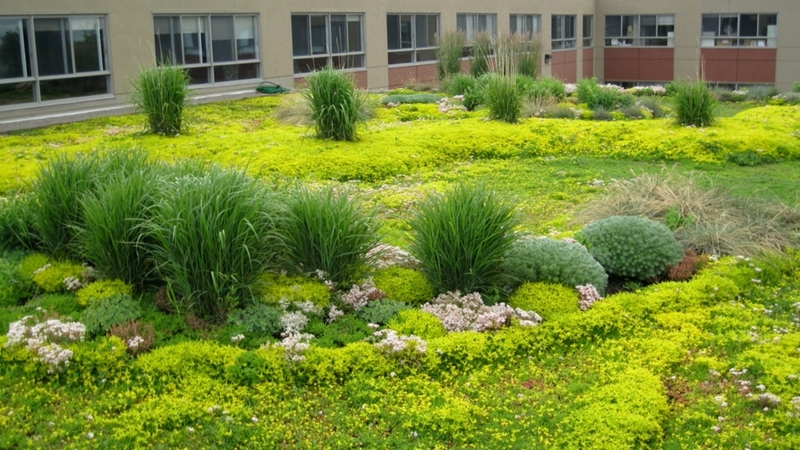 Green roofs are one of the most commonly discussed topics in commercial roofing today. ROOFTech ’19 is your opportunity to get up close and learn about various systems from three experts in one hour, under one roof! Join us for the opportunity to learn about various vegetated roofing technologies ranging from lightweight and soilless systems, to trays and traditional systems using soil. Presenters will explain different installation techniques and answer audience questions. 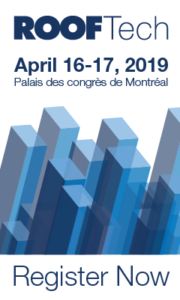 On hand to introduce the presenters will be Stéphane Poissant of Ernest Hotte, the president of the technical committee for the Quebec Master Roofers Association (QMRA) and serving on national technical committee of the Canadian Roofing Contractors Association. Jean-Jacques Laplace, Next Level Stormwater Management’s Québec distribuotor is one of the presenters. The presentation will also focus on the unique requirements of the the Régie du bâtiment du Québec (RBQ). For a better understanding of the options in green roofing, a green roof mockup of approximately 150 square feet using each of the three systems will be on display. Attendees will be walked through the successive layers that make up each of the systems. Each component will be discussed as to its function and possible variations so that participants may obtain firsthand knowledge of this increasingly popular roof design. ROOFTech is Canada’s only major exposition and educational forum on roofing systems and technologies for architects, building inspectors, contractors, engineers, property managers, roofing consultants and other industry professionals. 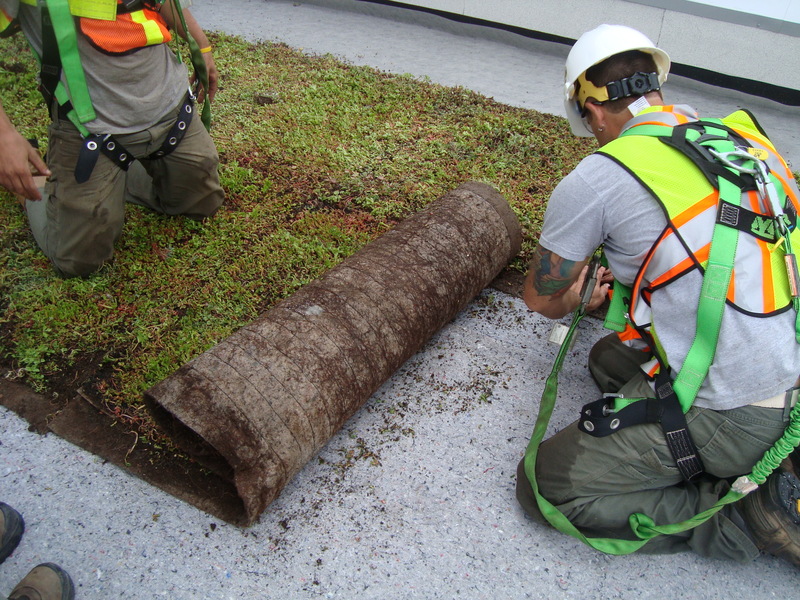 Jean-Jacques provides consultations and specifications for green roofs of various complexities for all of Québec– from retrofits to new construction. He has worked with architects, installers and general contractors on green roof projects at various stages of design and implementation. With his eye for detail and numerous years of green roof experience, he is careful and dependable when doing routine inspections of installations. Having worn many hats as a business-owner the last 25 years, Jean-Jacques knows what clients want and need: the highest level of customer service and product excellence. Contact Jean-Jacques directly. 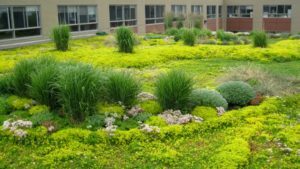 Next Level Stormwater Management prides itself in being a hassle-free, one-stop-shop supplying vegetated roof systems that can be customized to local requirements, with warranty and maintenance support. We also offer ​access to a variety of analytical support service​s such as ​stormwater calculations specific to location ​and building/roof type. Contact us for the right solution for your roof.